Intel Corporation driver update for Intel(R) HD Graphics 4400 failed issue always has an error code 80070103. This error would occur if Windows Update provides faulty drivers. You can skip the update and update the driver manually. If you can tell exactly there is no driver problem with Intel(R) HD Graphics 4400, you can skip the update. Then follow these steps to hide the update. 1. 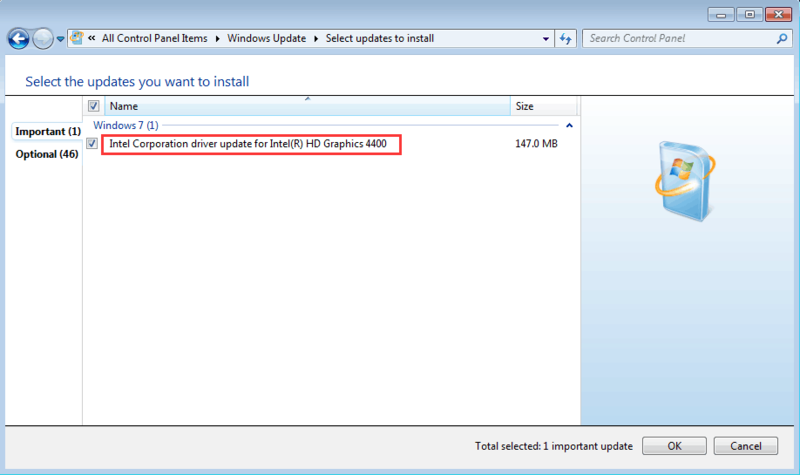 In Windows Update, just right-click on Intel Corporation driver update for Intel(R) HD Graphics 4400. 2. Select Hide updates. Then click OK button. 3. Restart your PC for the changes to take effect. After hiding the update, it is recommended that you update the driver to latest version as new Graphics driver may boot your PC performance a lot. There are 2 ways you can use to update the Intel Graphics driver. You can go to your PC manufacturer’s website or video card manufacturer’s website (Intel) to download and install the latest driver. If you are using a brand computer, it is recommended that you go to PC manufacturer’s website first as they may customize the driver. Before you get started, ensure that you know the PC model and the specific operating system. Updating drivers manually may take forever. It is possible that you still don’t find correct drivers after spending a lot of time on it. If you want to update the driver quickly and successfully, you can consider using Driver Easy. 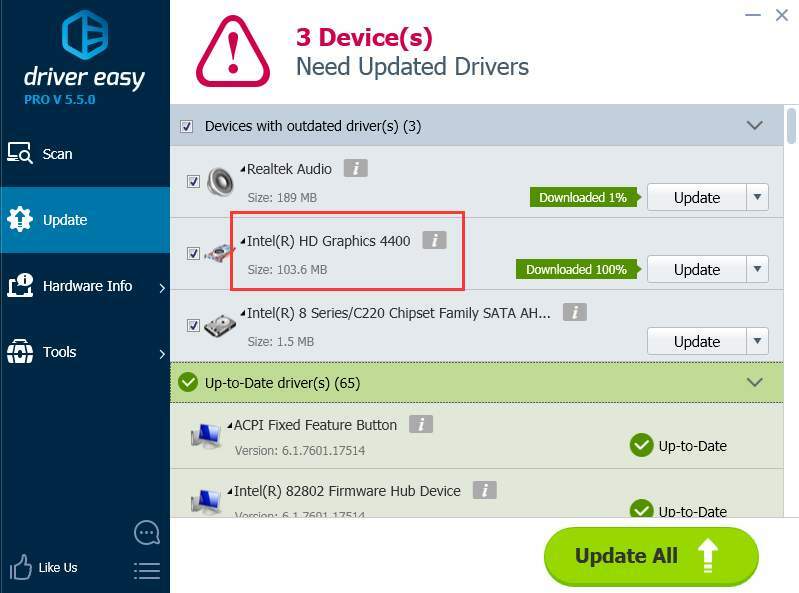 Driver Easy will scan for all problem drivers in several seconds and give you new drivers including new Intel Graphics drivers. 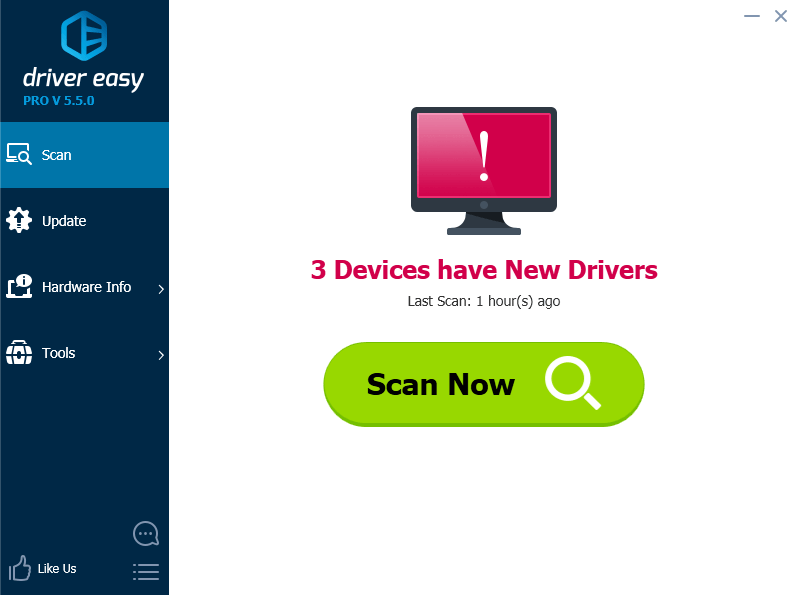 With Driver Easy Paid version, all you need to do is click your mouse 2 times. 1. Click Scan Now button. Then you will get new drivers instantly. 2. Click Update All button. Then all drivers will be downloaded and installed automatically. Driver Easy provides 30-day money back guarantee and free technical support. You can contact us for further assistance regarding the Intel HD Graphics 4400 driver update issue. And you can ask for a full refund for any reason.